This might be your first time leaving your toddler with someone other than family and we understand how you feel; we aim to make your transition as easy as possible. 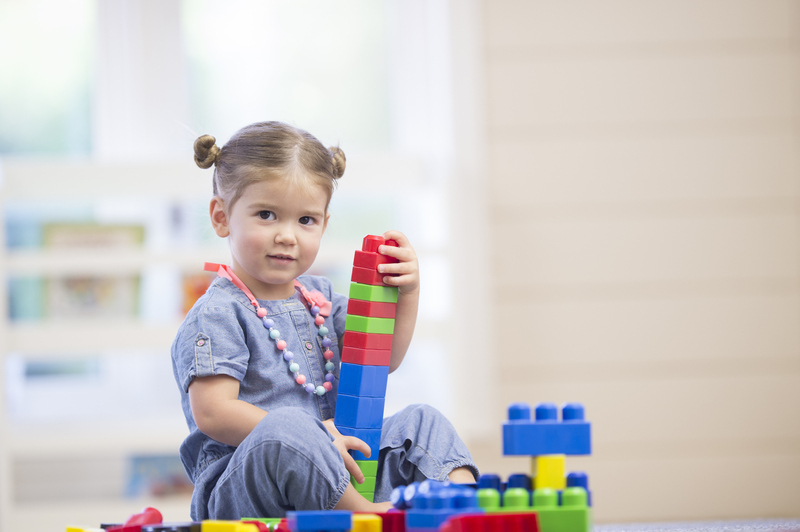 Our beautiful Toddler room is filled with blocks, books, dress up clothes and all sorts of magical things to encourage your toddlers imagination. We also have a toddler play structure and custom swings. Our Toddlers also love to play in our sensory table and do beautiful Art with Ms Merri! It may look like they are playing but they are working at there emotional development. They are feeling ever changing emotions that they act out though play! Our Toddler Transition Program is open to children 18-35mo, with several options for a schedule that works for both you and your toddler. We aim to enhance a child's gross & fine motor skills, language skills, and their social & cognitive skills. Interested in what we do during the day? With three core aspects to our program, children enjoy focused activities under specific themes. Want to sit in and see the program for yourself before signing up? Try a one-day Free Trial!